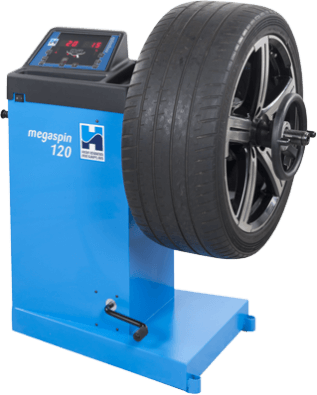 The megaspin 120 "Hundspun" Wheel balancer, small is beautiful!!! This small balancer is big on features, for a start, it's the first ‘handspin’ balancer ever to include fully-automatic (3D) data input. This is achieved using traditional 2D input for the diameter and distance via the measuring arm, and then revolutionary new software (IWA) for the width. I.W.A. 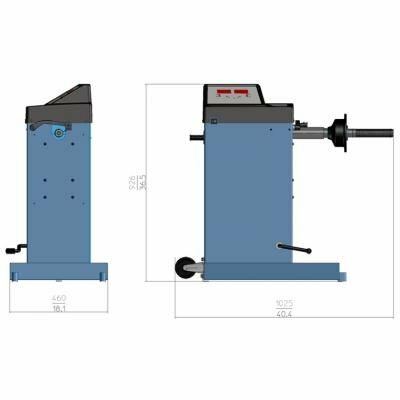 (Intelligent Width Assessment) calculates the width of the rim by taking into account the 2D settings, wheel mass and typical rim data collated from thousands of assemblies. 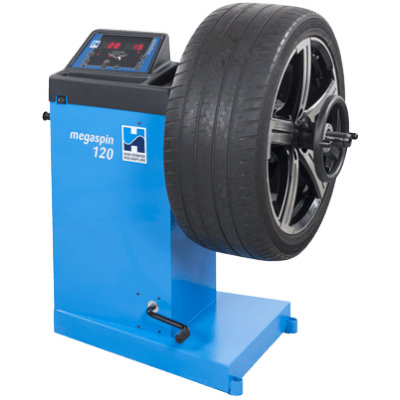 The result is a balancer with high performance capability, packaged into a small footprint and low investment. For the first time ever, mobile operators, or those garages where space is at a premium, can have a machine that is every bit as good as ‘flagship’ models 5 times the price! £1,555.00 + vat, Cash Price fitted. £7.53 + vat, per week when using Lease / Buy. 3D automatic data input, small in size, but large in features.